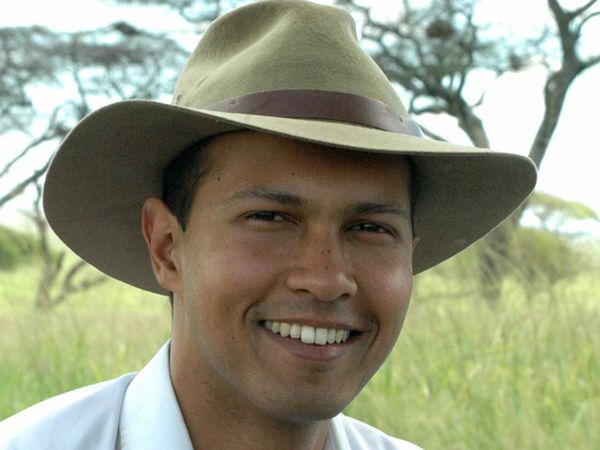 This week we have started our second module, Ecology of the Turkana Basin, which is being taught by Dr. Dino Martins. Dr. Dino Martins. Photo courtesy of Nationalgeographic.com. Photo credit: Celila Lewis. The students have been assigned independent research projects on ecological aspects of their choice. Students have been focusing on various topics, such as social insect activity, social and ecological impacts of food aid, camouflaging insects, as well as the ecology of decomposition. Roy Lotz working on his project. My partner Nikki and I are researching the ecological system that develops at a site of decomposition. Our chosen site of decomposition is a piece of TBI campus, which is protected from any large carnivores and allows insect, small rodent, and small reptile activity. This has allowed us to create an ecosystem where we can observe the impact of the smaller animals rather than any impact made by larger carnivores who tend to scatter remains, preventing the development of an ecosystem that can be easily monitored. Students will continue working on their research projects for the nest week, at which point they will present a paper on their topic of research. Many students including my partner and myself, will voluntarily continue to work on their projects until the end of the field school. My name is Sarah Baumgarten and I am a junior at Stony Brook University. I am currently studying for my BA in Anthropology. I am interested in Paleoathropology, biological anthropology and forensics.